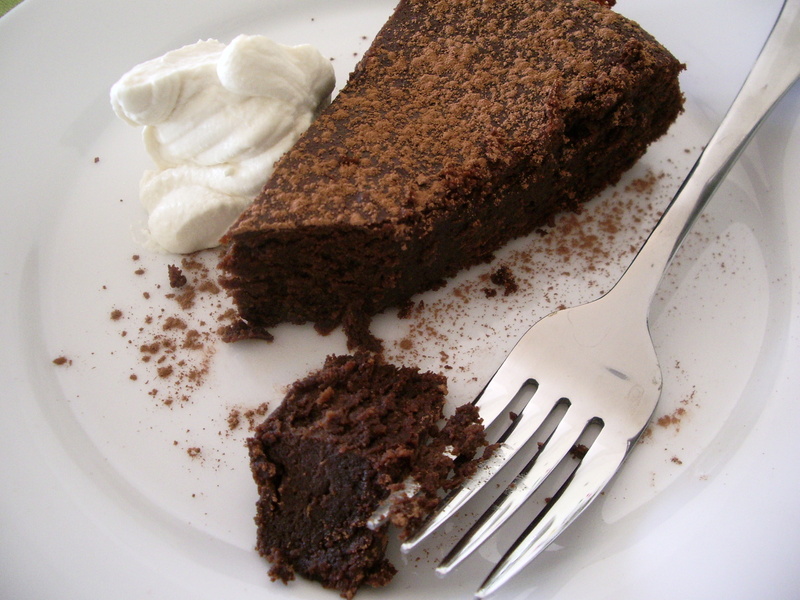 This entry was posted in Food, Recipes, Sweet things and tagged chickpeas, chocolate cake, chocolate torte, flourless chocolate cake, garbanzo beans, Gluten-free. Bookmark the permalink. 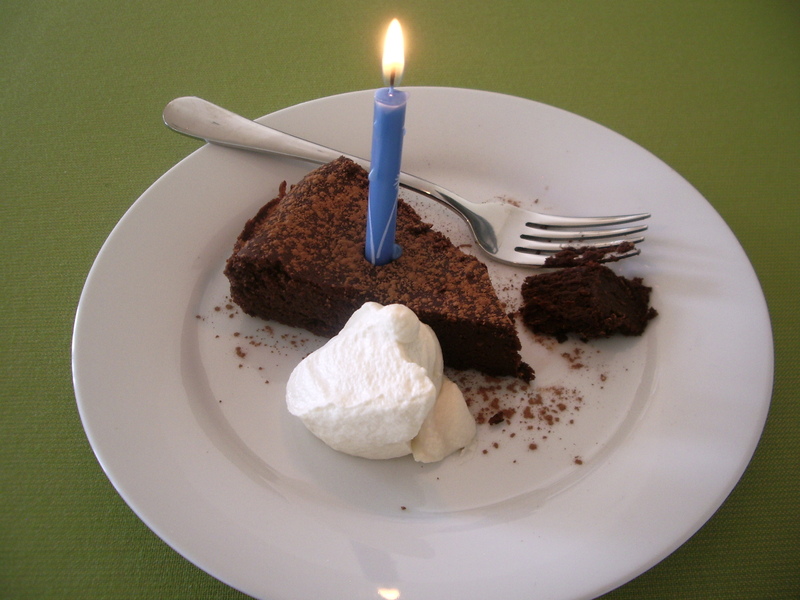 Congratulations on your 100th post (and the intriguing recipe)! Thank you. And thanks for your comment, too! Congratulations to your 100 and thanks for the first blog and a mouthwatering one it is. Just had dinner and would love to start straight away! But I have to restrain myself and do it when we are back from our week sailing, Great it is gluten free as well, might try It when Rebecca and Barry are coming with George and Katie. Chocolate is always a winner! Just need to use a Gluten Free one. Keep them coming!! my but that looks intriguing! I’ve been non-plussed by recipes that hide legumes before, but this one looks like a winner. And rum cream!!! Thanks Liz. You wouldn’t know that it had chickpeas in it at all, and it has a really lovely, moist texture as well as a great taste. Absolutely. The blogging community really did take me by surprise – but what an added bonus! A 100 posts is a nice milestone to celebrate and you have given us a dessert that will be a fun one to try. Well done. Thanks Karen. It’s certainly a milestone that I’m pleased to be celebrating – and was just the excuse I needed to make this interesting “cake”. Hello Georgina. Just saw you stopped in for a visit this morning. What a fantastic torte you have here. I love the idea of using different flours other than wheat in cakes. I happen to have chickpea flour on hand and will try your cake, it’s lovely. Thank you for introducing yourself and happy 100th post! Thanks for stopping by, and for the comment. I used a tin of chickpeas for this, and am not sure what the equivalent in flour would be. I’d love to hear how you get on though. Here’s to next 100! Congratulations.